Don't worry: Food & Beverages aren't served at miniature scale! 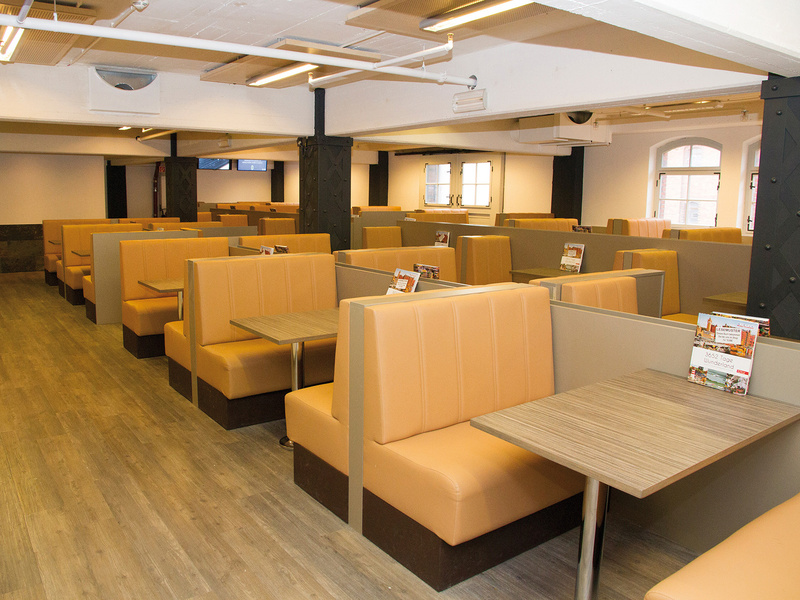 The Wunderland offers a wide choice of meals and beverages at family friendly rates, from cold snacks to freshly cooked dishes of the day. And our Giant Currywurst (curry sausage) is famous! It's fun to eat at our bistro! 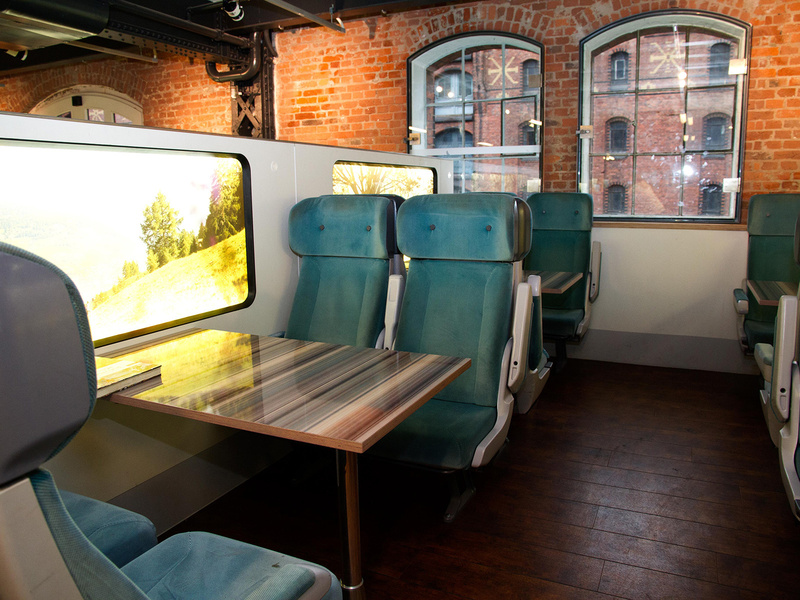 The over 200 seats were carefully designed and you can either sit in one of the train compartments or in our lounge and watch the goings-on. We offer a wide choice of food and beverages. Of course, there are classics like French fries and Currywurst for just 4.80	Euros or topped rolls, but also freshly cooked meals made from local production. For instance, there is a pasta station where pasta is cooked in front of your eyes and at your liking. In addition, you'll always find freshly cooked dishes of the day and vegetarian food. Here you can take a look at our menu. Pricing is important to us. In contrast to other leisure-time attractions, our prices are quite moderate and we strive for offering good quality at affordable prices. In fact, we think that we reached that goal in our restaurant. Our restaurant opens at the same time as the Wunderland. In the morning, we offer fresh rolls, coffee and tea. From about 11 a.m. on, lunch is available, but if you like, you can get something to eat before then. Often, our restaurant is open until late in the night. It closes one hour before the Wunderland itself is closed. In short: No matter what time you arrive, we'll be there for you. You are very welcome to sit in the restaurant without consuming anything, and bringing your own food and beverages is definitely permitted. Children are definitely welcome at our restaurant. That's why we set up an area with a large play corner were kids can play and eat. Here, the adults don't have to apologize, because we want the children to have fun! Please get your meals and drinks at the large counter and make yourself comfortable in the adjacent room for families and children. Of course, we offer meals for kids, i.e. our pasta for children at a price of 3.90	Euros only. 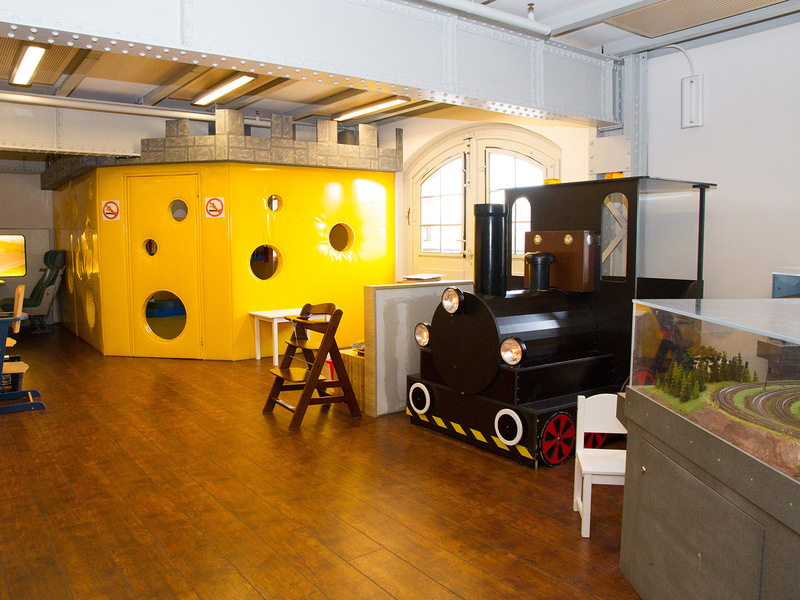 Next to the childrens' restaurant, there is also a cinema for the little ones, and a childrens' toilet with a diaper change station.